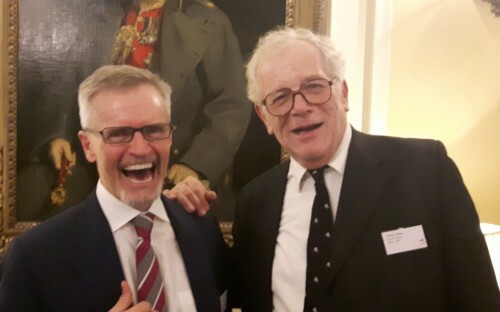 The elegant Cavalry and Guards Club hosted our most recent Alumni Reunion, drawing alumni from all schools together. Cricket rivals reminisce over Walhampton's resounding defeat 40+ years ago! Last night we welcomed 70 alumni to our first London based Alumni Reunion, hosted at the elegant Cavalry and Guards Club. Many thanks to Chris Knox for facilitating the use of the venue. 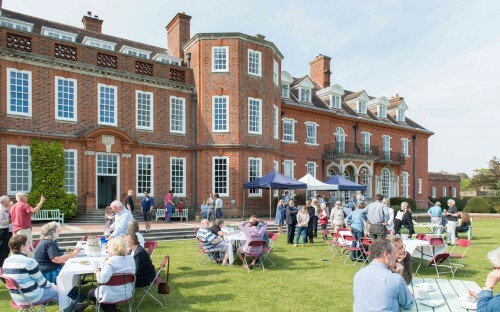 The gathering included former pupils from eight decades (1930s to 2000s) and all schools were well represented: Walhampton, Hordle House and Hordle Walhampton. 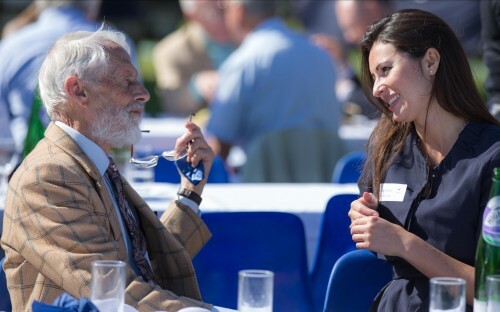 Over delicious wine and canapés the sociable group warmly greeted old school friends and caught up on happy times. In our company was one of our oldest Hordelians, Peter Dodd (at school 1938-1942), siblings Rosalind and John Graves (OW) and Annabel and Charlotte Pyke (OHH), current Walhampton Mum and alumna Rebecca Prior, uncle and nephew Stephen Morant and Jason Slocock, Neil Chrismas sporting his school tie, Nigel Roberts over from the US staying with Robin Rustom who he hadn't seen for 40 years, many groups of school friends and some hearty laughter from former school cricket rivals OW Nigel Roberts and OHH Clifford Allison as they remembered "that game when Walhampton was all out for 4"!! Thank you to everyone who came along and made the evening such a joyful and sociable occasion…. and yes, we will be holding more events in London as this one was so popular!